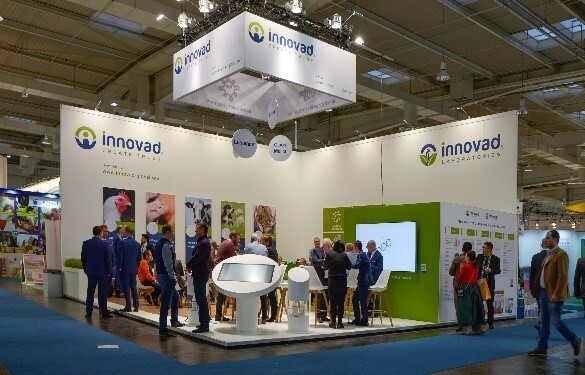 Innovad was present at the Eurotier fair that took place in Hannover from 13 – 16 November 2018. During these four days, we stood out from the rest with a professional looking booth that was packed with people from all over the world. We took this opportunity to thank our visiting clients and partners for their commitment, trust and dedication. Thanks to the presence of our young and excited Innovation Team, we were able to truly showcase Innovad’s market expertise and strengthen our position as key player in the industry. At this event we also launched Innovad’s new digital marketing story, with our brand new corporate website at the center. This website should be considered as a new digital sales tool, guiding visitors through Innovad’s portfolio of solutions and products.